Bradford has the highest percentage of SMEs which are selling products or services overseas, according to a recent FedEx Exporter survey. Beating the usual suspects, (London, Leeds, Manchester and Southampton,) 86% of Bradford SMEs export outside of the UK. After Leeds, Bradford is the second biggest economy in Yorkshire, totalling around £8bn. Bradford is primarily a producer city; 12% of total employment is in the manufacturing, energy and utilities sector. The UK export market has been growing significantly year on year, with the government pledging to double the countries export value to £1tn by 2020. According to the survey, of the 2500 SMEs surveyed, 74% of them export goods outside of the UK. SMEs reported financial benefits, increased employee retention and it helped them to compete with larger businesses. One example of a Bradford based exporter was Astonish, a Bradford based cleaning brand which sells kitchen cleaners globally. It’s revenue doubled as it expanded to ship products to the Middle East and China (accounting for over a third of its annual turnover). The company uses trade financing to fund exports. Find out more about our trade finance experts in Bradford here. At a larger scale, UK business owners are more confident about exporting, although only 13% of the 20 million European SMEs are doing business outside of the EU (missing out on a predicted market size of 6 billion customers). How do UK companies expand into other markets? According to the FedEx exporter survey, UK SMEs tend to export to their European counterparts when beginning to trade overseas, before expanding to US and Canadian territories. With trade agreements, it’s relatively simple to expand to Europe as it is a single market, with over 500 million customers, a common currency (Euro) and great infrastructure links. How to get finance as an exporter? One of the biggest challenges for new exporters or importers is accessing finance. 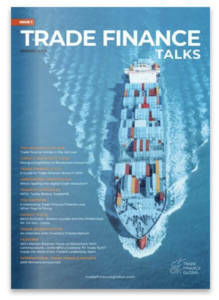 Trade finance is a catch all term for the business funding of exports or imports in domestic and international markets. The most common type of finance for supply chains and stock finance is through Letters of Credit and Documentary Collections. Trade finance uses an intermediary to guarantee payment and reduce risk between the buyer and the seller. Simply put, it’s using the goods as security during a transaction between two parties.